It’s always a valuable learning exercise to take a little time to review the past year and all its events; what happened, what you achieved, and what you could have done better. 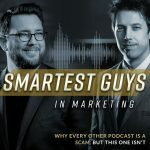 In this episode, Chris and Taylor share some of their greatest business and life lessons from 2018. Use them to your immediate, ‘unfair’ advantage to make this year your best yet!